Even if you've raised your first or second round as an entrepreneur, venture capital can seem like a foreign world. Where entrepreneurs spend their days executing upon their own ideas, venture capitalists spend their days evaluating the ideas of others. With less than 6,000 venture capitalists at 798 firms in America, according to the latest count by the National Venture Capital Association, venture capital is also an insular community that's tough to crack. 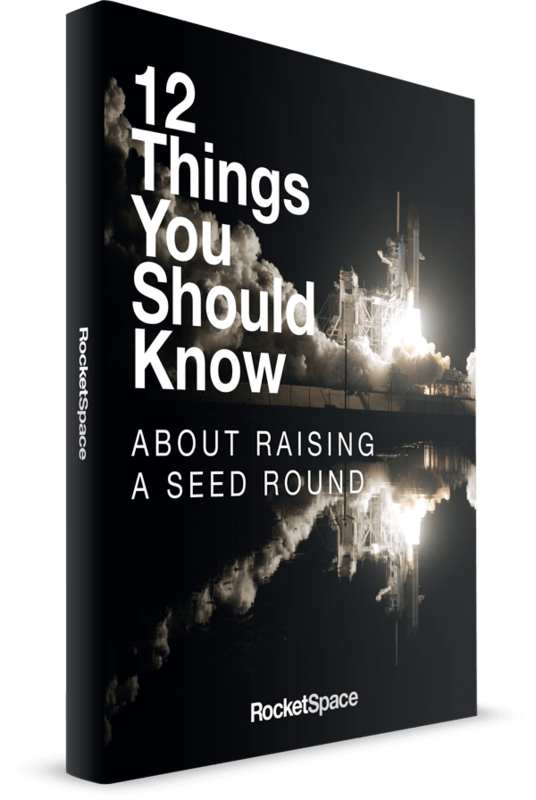 What you lack in first-hand venture capital knowledge, you can gain in venture capitalist stories and insights in these two reads. All three authors are industry insiders worth listening to. Jeffrey Bussgang is a general partner at Flybridge Capital Partners, a Boston-based venture capital firm, with a decade of entrepreneurial experience, notably as co-founder of college savings startup UPromise (which sold to SallieMae) and an early executive at ecommerce startup Open Market (which IPO'ed in 1996). He's also a senior lecturer at Harvard Business School, from which he holds an MBA. Brad Feld is co-founder and managing director at Foundry Group, a venture capital firm based in Boulder, Colorado, and is the co-founder of startup accelerator TechStars. He previously co-founded venture capital firm Mobius Venture Capital, among other prior roles. Feld holds a bachelor's and master's in Management Science from the Massachusetts Institute of Technology. Jason Mendelson, also a venture capitalist, is the legal expert among these three. He previously served as an attorney at Cooley LLP, one of the most respected Silicon Valley law firms, and also worked as a software engineer at consulting firm Accenture. He was managing director and general counsel at Mobius Venture Capital prior to co-founding Foundry Group, where he now serves as co-founder and managing director. The three authors combined represent nearly a lifetime worth of priceless experiences which they share openly and extensively in these two books. Though they didn't collaborate in writing the two, they go together quite well as a paired reading. 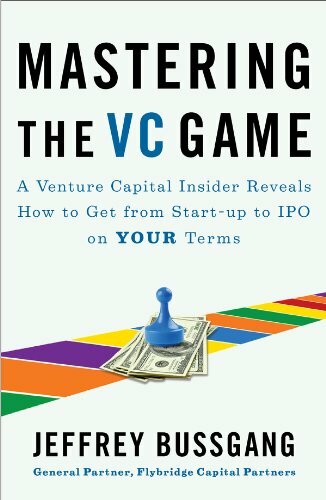 Bussgang's book has a storytelling-centric focus, centered around a buffet of dream interviews from the founders of Twitter, LinkedIn, and Sirtris, among others, paired with the venture capitalists behind some of the most revered firms around, such as Union Square Ventures, Draper Fisher Jurvetson, and August Capital.The book begins with a light look into the "two sides" of the table: VC and entrepreneurship. He considers what makes up the DNA of an entrepreneur and gets to the gist of what drives entrepreneurs — passion to solve a problem. That first chapter may not come as a surprise to readers who have already founded their own companies, but it is supplemented with interviews with founders, such as Twitter's Jack Dorsey and LinkedIn's Reid Hoffman, which adds a personal color to the text. Throughout the book, starting in those early chapters, Bussgang infuses his story as an entrepreneur-turned-VC, as well, lending insider insights, such as mistakes he made pitching to investors as a young executive and why he decided to go into VC after a successful career as an entrepreneur.Throughout the book, Bussgang explains the intricacies of how to pitch VCs, the ins and outs of negotiating a term sheet, who to put on your board of directors, and even what to consider when it's time to exit. Bussgang makes the entire book personable with examples and interviews. You'll walk away feeling like you know at least a dozen technology insiders who've just given you the best advice you'll get before walking into a VC pitch. Feld and Mendelson have composed what may be the best cheat sheet to venture capital. The four-page Table of Contents is broken down in such a way that you can find the topic you may be trying to tackle at a given moment — say, a specific right or provision within the term sheet, such as drag-along agreement terms or liquidation preferences — and get straight to the point by directing yourself to that page. Venture Deals starts by getting straight to the term sheet. 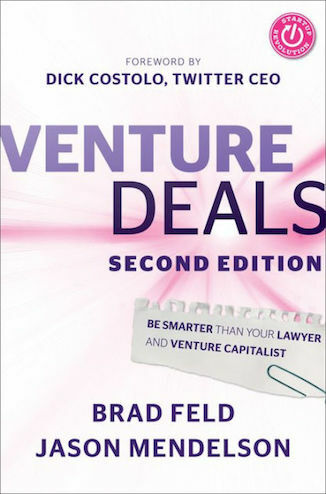 With four of fourteen chapters dedicated to the term sheet alone, the book covers the basics and nitty-gritty of what entrepreneurs should know about the agreement they're signing when they take in a VC investment. Other topics covered include what goes into the generation of a capitalization table, the pros and cons of convertible debt, how venture capital funds work (and how VCs are incentivized and compensated), and what legal issues startups tend to run into most often. The book also includes the basics of the letter of intent (for a company acquisition), as well as a sample term sheet and sample letter of intent, for the founder who really wants to get his or her hands dirty with the legalese. Experienced or not, every entrepreneur can glean insight from Mastering the VC Game and Venture Deals. 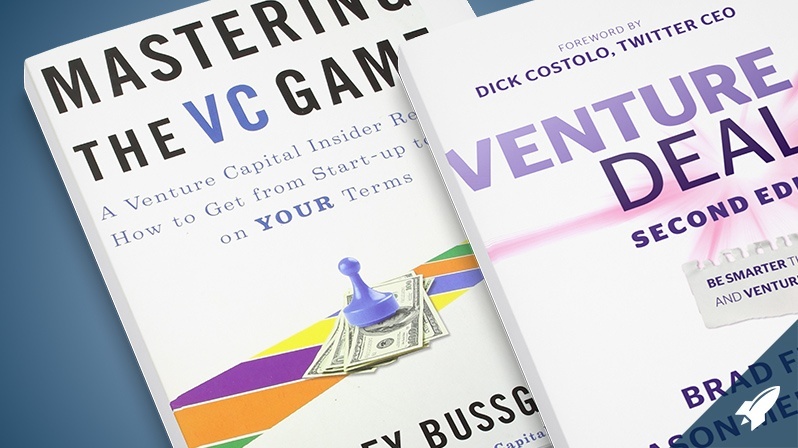 These two books are thorough and insightful reads on venture capital that you'll want to keep on your shelf.